Renault has announced Jerome Stoll will remain its racing programme president after the unexpected departure of Thierry Koskas. Jerome Stoll will continue to head up the Renault Sport racing programme following the unexpected departure of Thierry Koskas from the French manufacturer’s Formula 1 project. Stoll was due to retire from the position and be replaced by Koskas as president of Renault’s racing programme in early 2019 as part of the team’s second phase of its rebuilding programme. No reason was given for the former chief of sales and marketing’s sudden exit from Groupe Renault - which comes just 18 days after starting work - but a short statement confirmed the change of plan on Friday. Koskas was due to report directly to Groupe Renault chairman and CEO Carlos Ghosn prior to his arrest in Japan over claims of financial misconduct towards the end of last year. 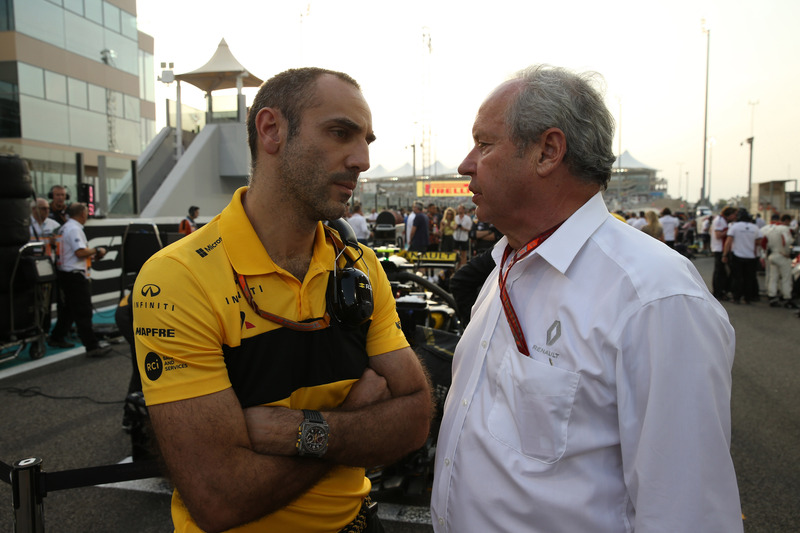 Stoll, who turns 65 this year and has been a Renault employee since 1980, will now continue in the role he has held since Renault’s return to F1 as a fully-fledged works outfit in 2016. Renault set an initial five-year aim of returning to winning ways in F1 and has enjoyed steady improvements each year since. It finished ninth out of 11 teams in 2016 before moving up to sixth the following year. Last season Renault continued its progression up F1’s pecking order by securing fourth place and finishing as the leading midfield outfit. Renault is bidding to further close the gap to the trio of Mercedes, Ferrari and Red Bull in 2019 and has persuaded Daniel Ricciardo to join its ranks alongside team regular Nico Hulkenberg. The Enstone squad has also bolstered its technical department with the signing of ex-FIA man Marcin Budkowski, who began work with Renault early last season.